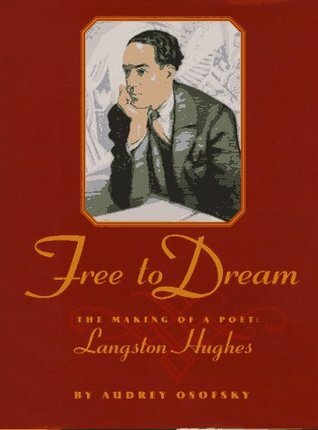 I'm sitting here in my home office on this lazy Sunday afternoon (lazy only because it's midwinter break and I don't have to go to work tomorrow) reading Free to Dream: The Making of a Poet, a biography of Langston Hughes (my favorite poet of all time), and I am struck by his educational background. While Hughes did very well in primary school and high school and was praised by his teachers for his love of learning, Hughes, one of our most celebrated American poets, was a college dropout. His first attempt at college was a failure. He went to Columbia University on his father's dime, and after one year decided that he preferred to read books and attend lectures instead of go to class. I'm struck by this new piece of information I learned about Hughes today because, by all intents and purposes, he should have been a model student: he loved learning, did well all throughout his K-12 education, and was often recognized for his writing prowess by his teachers and classmates. If that's not a formula for someone who should succeed in college, then I don't know what is. But that's just it. Education can't be whittled down to a formula - numbers to crunch, multiple choice questions to answer. By today's educational reformers, Hughes would be considered a failure. Politicians would deem him a product of a failed system and no doubt his teachers would be blamed (and perhaps fired) for his inability to understand physics and trigonometry, which were the classes he chose to skip and ultimately drop out of Columbia. So as the Common Core State Standards are asking me to make my students "college and career ready" and turn them into good little test-takers, I can't help but know in my heart that there are much more important things we should be focusing on, like nurturing passions and talents, showing students we care about them as people, and teaching them the importance of lifelong learning for their future instead of the desire for all A's on their report card and good standardized test scores. Despite the fact that CCSS architect David Coleman infamously told an audience of educators in 2011, "As you grow up in this world, you realize people really don't give a $#!% about what you feel or what you think," I'm going to nurture the Langston Hugheses in my classroom and make sure they know that they have a voice in this world and that I do give a $#!% what they feel and what they think. If I didn't give a $#!%, then well, I wouldn't (and shouldn't) be a teacher. And for all the David Colemans out there, well, it scares me that you are making decisions on behalf of my students and the Langston Hugheses of this world. I've been scarred and battered. It is a valid point - I teach high school junior English and one thing I tell my students to pay attention to is the pattern of authors that did not go to college or who went and dropped out. It opens an intriguing conversations with students on where they see their own futures, and how we as educators can make the educational process worth their time. The #1 complaint from my kids: we re-do the same things every single year. We feel like we aren't learning anything new. I asked students to write me a seven-sentence paragraph. I had one say, "Seven sentences? I learned paragraphs are three sentences." How do we move these kids forward into their learning, to help them understand that learning is a life-long process? They've lost that. They've learned that they are worth nothing more than filling in a box. Ask them to complete short answer/essay questions? I might as well tell them that their birthdays won't come this year. We are starting to see the full affects of NCLB, and I fear for what is coming next. This post is amazing!! 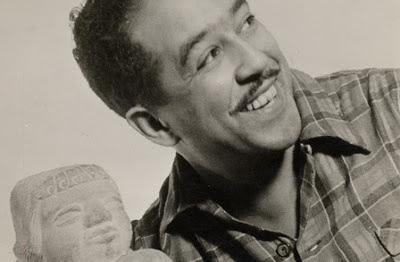 I adore Langston Hughes and this post is awesome!